With the vast majority of international justice attention focused on the unfolding situation in Libya, the search for justice in post-conflict Ivory Coast has been chugging along without much international scrutiny. In sharp contrast to the rigid either-or-debate regarding where Muammar Gaddafi and the Tripoli Three should be tried, the transitional government in Ivory Coast appears to have decided that justice will be served both locally and internationally. The ICC’s interest in Ivory Coast is nothing new. 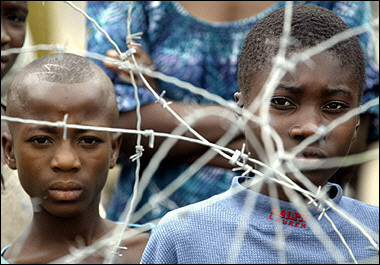 The Court has been pondering its course since the country declared, in 2003, that it accepted the ICC’s jurisdiction. When widespread post-election violence erupted across across the country late last year, the Court began to apply pressure on Ivory Coast officials, declaring that the Office of the Prosecution would not hesitate to issue arrest warrants for key Ivorian leaders responsible for large-scale violence amounting to war crimes or crimes against humanity. However, as pressure mounted to get involved in Libya and other Arab Spring states, Ivory Coast was largely relegated to the backburners of international scrutiny and interest. On deeper inspection, Ivorian authorities have been quite busy in their pursuit of accountability and reconciliation. Inspired by the South African experience, a truth commission, the Truth, Reconciliation and Dialogue Commission, (which includes football star Didier Drogba!) has been set up to examine the four months of turmoil that swept and ravaged Ivory Coast. Along with the Commission, there has been significant pressure to bring former President, Laurent Gbagbo, and others to account for their role in the post-election violence. For four months, Gbagbo refused to concede electoral defeat, instead holing up in his Presidential palace in Abidjan, as his and Ouattara’s supporters engaged in brutal street wars. Thousands perished in what has been described as Ivory Coast’s “second civil war”. Gbagbo was finally, and forcefully, removed from power with the help of a French and UN military mission. The new government has since begun the process of seeking retributive, criminal justice for key individuals. While fears of one-sided victors’ justice persist, despite evidence that both sides committed war crimes, in August, the government charged 12 Gbagbo supporters, including the former president’s son. Since the guns were silenced in Ivory Coast, Ouattara has appeared eager to have the ICC involved in the process of the country’s political transition. Since then, the ICC’s Office of the Prosecutor’s requested the opening of an official investigation into the post-election violence. While the ICC still cites the Ivory Coast as being “under preliminary investigation”, a few days after the request for opening an official investigation, the Court’s Deputy Prosecutor, Fatou Bensouda, visited Ivory Coast and signed a deal allowing the Court to conduct a formal investigation. The ICC’s investigation will undoubtedly focus around the role of Gbagbo. For the Court, putting its first head of state in the dock would be a first, and a tremendous political and politically symbolic victory. It also appears to be a priority for Bensouda, who is most likely to become the Court’s top prosecutor when Luis Moreno-Ocampo’s term concludes next year. The ICC's Deputy Prosecutor, Fatou Bensouda, was recently in Ivory Coast to sign an agreement allowing the Court to open a formal investigation into post-election violence. Ouattara’s comments, and the recent debates regarding the location of justice in the Libyan situation, pose fascinating and important questions: in fragile, post-conflict settings, where should justice take place? Can justice be pursued both domestically and internationally? As readers of this blog will know, in the case of Libya, the issue of where justice should be served remains polarizing. Despite some arguing for a more creative approach where international and local justice is combined in an ICC trial in Libya, justice in Libya continues to be framed as a battle between two, mutually exclusive options: ICC justice in The Hague versus local justice in Tripoli. 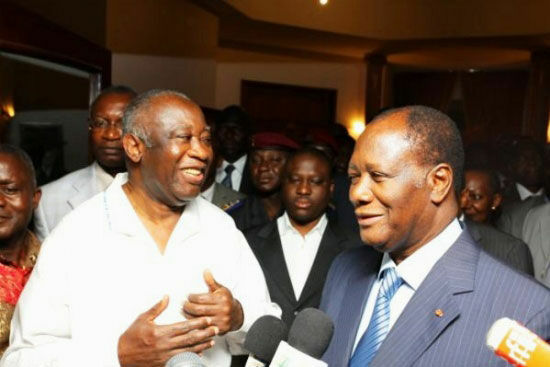 Within this broader debate about justice’s place, Ouattara’s comment demonstrates that some countries may see a division of labour approach where some crimes (economic crimes and more minor crimes) will be tried and judged in the country and the commission of international crimes, which retains the risk of becoming heavily politicized, can be adjudicated at the ICC. The development of such a practice would have profound effects on how justice is achieved. On first glance, however, these would appear to be largely positive. A state, such as Ivory Coast, could achieve justice for violations caused domestically and subsequently demonstrate to the world its intentions to respect the rule of law and human rights by outsourcing accountability of the worst crimes to a much more depoliticized Court. Just as importantly, “menial” crimes, which often affect victims on a similar scale to large-scale human rights violations, would be adjudicated as well as large-scale international crimes. Unlike the debate it Libya, serving justice domestically and internationally would be shown not to be an either-or situation. This entry was posted in Ivory Coast / Côte d'Ivoire, Ivory Coast and the ICC, Justice, Libya and the ICC, Truth and Reconciliation Commissions, Truth Commission. Bookmark the permalink.